Do you prefer buying fresh fruits and vegetables in a local market rather buying them from the supermarket? Then you are in the right place. 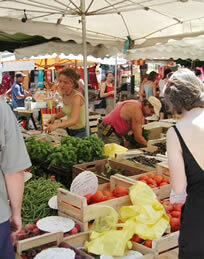 Port Grimaud and the surrounding area offers a wide range of weekly markets and flea-markets. Please be aware that most of the markets are open only until midday.